When embarking on a ketogenic diet for health or fat loss, finding the optimum protein intake can be very confusing for many beginners. For smooth adaptation in the transition to a ketogenic metabolism I typically guide people using a caloric spread of around 70-80% fat, 15-25% protein, and 5% carbohydrate from green fibrous vegetables – but this ratio varies for every individual and using percentages is confusing and misleading in many cases. The best way to look at macronutrients is not in percentage ratios, but in grams. The slew of bloggers and gurus spouting so much conflicting information leads many into a mental stalemate about how much protein they should be eating. This article lays out the metrics I most commonly use to quantify how much protein an individual should intake – there is no magic ratio and the needs, preferences, and goals of the individual determine the amount of protein they will likely require on their ketogenic diet which usually lies within a relatively broad range of 1-2.2g/kg (and in some cases even higher *cringe say the protein-phobic) of bodyweight or .5-1g/lb of lean body mass (Lean Body Mass equals Body Weight minus Body Fat). I almost always recommend people increase their intake of fish and seafoods in order to get the vital nutrient DHA into their central nervous system and mitochondrial membranes. We see amazing results when people opt for more fish and less red meat, which I also love, but land mammals are not nearly as nutrient dense as seafoods with their incredible levels of DHA, EPA, selenium, and iodine. 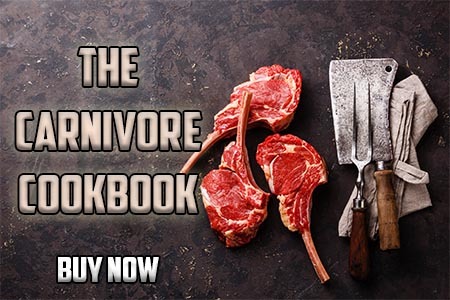 Sometimes this means they will be eating more protein than they believe will allow them to be “ketogenic”, this protein-phobia can be counterproductive, which leads me to the most obnoxious myth about keto diets. Protein-phobia can be just as much of a problem as overdoing protein. Essential amino acids, like essential fatty acids, cannot be synthesized by the body and must come from dietary sources. A common misconception about ketogenic diets, a myth oft repeated, is that any excess protein “turns into sugar” right away. This is a very hyperbolic misinterpretation of a the process through which the body can convert some amino acids into glucose that is not backed by research. While some amino acids in protein can be converted into glucose, gluconeogenesis is a highly regulated physiological process and is much more complicated than catchy fear mongering statements like “your body turns excess protein into sugar”1. While there are anecdotal stories and n=1 which suggest that certain individuals have blood sugar spikes from excessive protein which may lower blood ketones temporarily, it is very upsetting when my clients are misled into believing that an increase in their protein intake, which will increase satiety during fat loss, will somehow magically turn into Frosted Flakes in their stomach and make them gain body fat! Protein is NOT sugar, and even if increased protein intake (done for specific purposes such as raising DHA/EPA levels with fish) temporarily lowers blood ketones, this is not going to negatively affect fat loss or health!2. There is a difference between a medical ketogenic diet where ketones must be constantly high to prevent seizures, and a ketogenic diet in the general population where health and fat loss are the goal. Higher blood ketones DO NOT equal more fat loss, and though there are MANY benefits to elevated blood ketones, those embarking on a ketogenic diet do not need to fear protein – once adapted, especially in more active or resistance training individuals, protein at 1g/lb of lean body mass will not interfere with long term ketosis or weight loss. Eating any solid foods raises glucagon due to alpha cells in the stomach – this raises glucose a bit and naturally, insulin release follows – this TEMPORARILY slows production of ketones3. Protein isn’t converted into glucose immediately – if you are obsessively pricking yourself all day thinking constant elevated blood ketones somehow magically leads to weight loss you are wasting time, energy, and ketone/glucose strips. If you’re on a medical ketogenic diet for epilepsy, then this is very useful…if not, then why waste so much energy and money? If you have been duped into believing that having blood sugar over 80 after a meal means you will never efficiently burn fat and make ketones, you should look for some sources of evidence for this claim (hint- there is NO evidence for this). Of course keeping blood sugar low is great for health, but hyperfocus on numbers in the glucometer is not likely benefitting non-diabetics on a ketogenic diet. When I work with clients on fat loss and body composition goals I sometimes guide them into a low carbohydrate ketogenic diet – this increases satiety and decreases hunger and favors a hormonal environment that is conducive to fat loss and lean muscle preservation. Protein intake is a tool within this context that can aid in satiety while calories are decreases to promote fat loss. 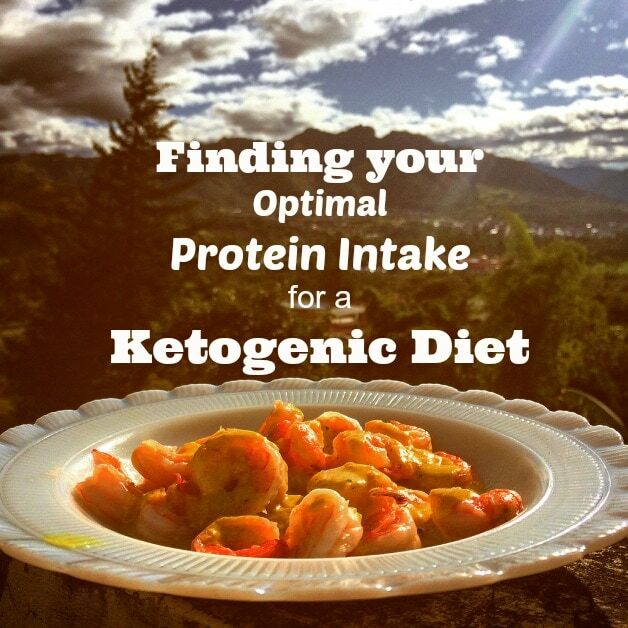 When first embarking on a ketogenic diet I recommend keeping a moderate protein intake. This ranges, depending on the variables I will discuss in this article, from 1-2.5g/kg of lean body mass (.5-.8g/lb) and, in some cases, a bit more. After a period of adaptation and entrainment of the body to a fat based metabolism, protein intake can be adjusted according to preference and goals. Protein is an important tool in the toolbox of macronutrient partitioning (the breakdown of calories from protein, fat, and carbohydrates as a percentage of total daily calories in the diet). If the goal is to lose body fat, one must maintain a calorie deficit in order to tap into fat stores for energy. One method of making such a deficit sustainable and even enjoyable is a ketogenic diet. A properly formulated keto diet will include enough protein and fibrous vegetables to fill the stomach and suppress hunger while keeping blood sugar far more stable than a carbohydrate driven diet (which can work just as well for fat loss). When in a deficit, protein is a powerful tool for increasing satiety – one way to make a deficit bearable is to increase protein while dropping fats, creating the necessary energy balance to cause a need to burn body fat throughout the day. Increased protein is also known to normalize insulin levels in calorie restricted diets in obese hyperinsulinemic individuals4. For weight loss, protein levels may vary anywhere between 1.5-2.5 g/kg (.5-1g/lb) of LEAN BODY MASS (LBM), yes this is a wide range and one must experiment to find where their optimal intake is.. Individuals that are more physically active will likely desire more than sedentary people, and men often desire more than women, but there is no dire need to eat less than 1.5g/kg LBM for most people using a keto diet to get lean. The lower end of the ketogenic spectrum may not results in muscle loss because ketosis is muscle sparing and protects lean muscle from catabolism5, but it is not necessary to severely restrict protein like epileptic patients on a medical ketogenic diet. If you are highly active and enjoy eating protein, the higher end of the spectrum may be ideal for you. If you prefer less protein, then eat less! If the goal is to maintain a medical ketogenic diet and elevated blood ketones constantly while minimizing IGF-1 and MTOR as much as possible, then protein intake will sway to the lower end of the spectrum. Keeping IGF-1 and MTOR low while elevating AMPK is a very valuable health strategy which can be useful even for those not suffering serious illness. Deep ketosis is highly beneficial to epilepsy patients due to the neuroprotective effects on the brain6. Ketogenic diets are now being shown to be effective as a metabolic therapy for cancer patients as well7. If using ketosis as a metabolic therapy for these very serious diseases it is important to maintain protein levels low in order to elevate blood ketones and keep blood sugar levels very low. For serious conditions, protein on the lower end of the spectrum such as 1g/kg of lean body mass may be necessary. This does not mean that those eating higher protein than this will not reap any of the benefits of ketosis, but a keto diet used as metabolic therapy for serious disease is much more restrictive and difficult to maintain than a ketogenic diet for the average individual. 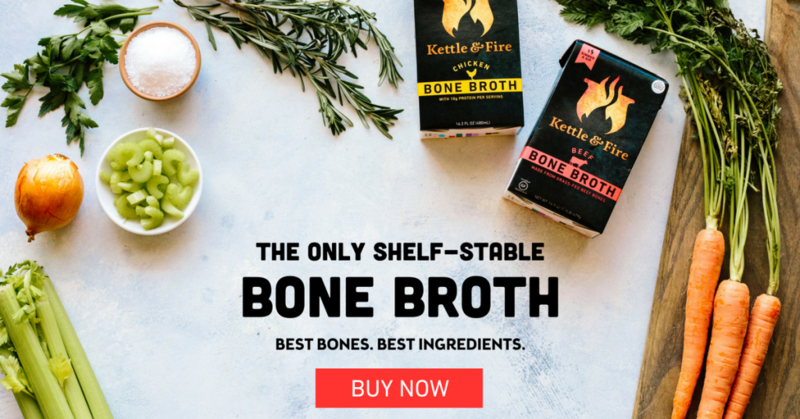 This is not a medical ketogenic diet resource, if you’re doing a keto diet for medical reasons consult with your health care professional. The history of the individual is important when choosing protein intake – many people with poor history of diet have never gotten adequate protein in their diet, this would make it difficult for them to adjust to an intake on the higher end of the ketogenic spectrum. When working with clients who are well adapted to ketosis and have stable energy levels throughout the day with low hunger, I often increase their protein a bit and decrease fats to create more satiety and a slightly deeper calorie deficit to facilitate burning more body fat. People who have never “dieted” before and have blood sugar dysregulation may be better off with EITHER lower or higher protein to start out, depending on their preference and other lifestyle and health history factors. Again, there is no cookie cutter number that all must hit for protein intake. More active individuals will likely have much faster metabolism and thus be much more hungry – highly active people will of course desire more protein in their diet while sedentary individuals will have less need for a substrate for gluconeogenesis because they will have a slower metabolism and utilize less glucose for explosive movements and activity. Paradoxically, resistance training is muscle sparing – this means it lowers protein requirements BUT the less calories we eat the more protein we will require in order to spare lean tissue, so for active individuals looking to get lean more protein is both desired and probably required especially if in a significant calorie deficit. Ketosis is muscle sparing, but we still must create some glucose for the brain and muscle glycogen, so more training = more protein. There is much evidence that higher protein intake during dieting can improve results, so it can be better to err on the higher end. Sedentary individuals may only want 1-1.5g/kg (.5-.7g/lb of their lean body mass while more active people may opt for 1.5-2.5g/kg (.7-1g/lb) of their LBM. This is an often forgotten factor by many individuals and coaches, and is one of the most important. If you enjoy eating protein, if you can’t get enough fresh salmon or grass fed beef (I always recommend seafoods over land mammals due to the importance of DHA and iodine in the diet), then perhaps you should sway towards the higher end of the ketogenic spectrum for protein! Personal preference is a huge factor in long term adherence to a diet – you must enjoy the diet you choose and adhere to it long term in order to get results. If you love protein, then stick to the higher end of 1.8-2.2 g/kg of your lean body mass (or a bit more if you are highly active and prefer higher protein, but realize that there is a limit where you will begin oxidizing protein for energy and may upregulate those pathways). I have been in ketosis since the end of March this year. My macros are around the same as described above and I have been showing medium high level of ketones in my breathe. I lost 1st 4lb in the first 3 weeks but sine then I have lost no weight but I notice my body shape changing. My clothes are looser and I feel great. I also seem to bd having days where I just dong get hungry enough to eat anything. I am wondering should I maybe try raising my protein levels a bit to see if tjis will help me start dropping the lb’s again? Gordon, the scale is NOT your master! You can lose bodyfat while building muscle – if your clothes fit better and you look better don’t worry about the scale! Tristan, I’ve been wondering about: “Eating any solid foods raises glucagon due to alpha cells in the stomach(…)”. I mean, I thought that alpha-cells are located in pancreas? Tristen, I was watching your interview with Stephanie Person, if my objective is to reduce bodyfat from the 30% range down to 16% or lose 50 lbs of fat, is morning cardio walking/ HITT or training in a fasted state while living keto suggested or will this muscle waste or would MCT or BCAA’s help . The take away from the interview was that this may raise cortisol and reduce testosterone. Your channel is awesome !!! its nice you educate people about ketosis. You remind me of this bodybuilder named vince gironda who trained stars such as arnold schwarzenegger and larry scott. He was known as the “iron guru” in the 1950s because he came up with theories that are being proven today. He came up with the steak and eggs diet long before atkins and zone diet. It is a high fat high protein zero carb diet. I am currently do full body workout 3 days a week and i have 2 meals containing 0.75 lb meat and 4 eggs each. I get about 184 grams of protein. What are your thoughts on this? Great article. I have asked in several different places, where is the proof that gluconeogenisis turns “excess” protein into sugar. If it was true, then if I ate a 16oz flat iron steak, I should have something close to 8oz of glucose in my body afterwards, that is not true. So I kept asking, where is the proof, but always the answer was gluconeogenisis, which, as you say, is only the name of the function that can turn proteins into glucose, but in itself isn’t a function of turning “excess” protein into glucose. Finally, someone that actually asked the question and quit taking the myth for face value. I did n=1 tests on myself and found my glucose did rise, but barely when eating “excess” protein. Third is a bit “gross”: When we eat a lot of fat, our body will ingest most of it, and we don’t poo a lot of it out and barely pee much of it out (except via some ketones). When we eat protein, we tend to poo more (hence the whole colon cancer thing). So, we aren’t necessarily absorbing all the protein from the steak. The myth would figure the body absorbs nearly 100% of the protein, uses about 50g, then turns the rest into glucose. But as you have shown, that cannot be the case. Thank you for all the information you have put out, I’ve been on the Leto lifestyle change for on 10 days and already reeling the benifit X of feeling more energised , healthier , improved sleep and better physical performance. I’ve been eating 40-50 grass of total carbs not net, 150-180g of fat and 100-120g of Protein. I’m a 5.6 female 73kg (50kg LBM) training 4-5 times a week fasted HIIT , 3-4 30 mins weight sessions and maybe out on the bike for a long ride once a week. Relatively active. My goal is fat loss , endurance and stamina building while improving my body shape. My question is , do I need to increase my protein and fat consumption when I trained? I know my carbs stay the same and the optimal is 20g carbs , is this net or total though? Any responce would be greatly appreciated, with so much contradictory information around , you have become my favourite research and advice toal while embarking on this journey. The carbs that should be tracked are net carbs (total carb minus fiber content), aim for 30 net carbs or less. Apologies, we only provide specific macros for clients after compiling certain information and gaining a comprehensive view on lifestyle and habits. Do a bit of experimenting with your macros to find the most suitable range for you based on daily cues like energy, sleep, endurance and weight loss. Learn what works and what doesnt make the results you are looking for. Best of Luck! I’m curious to know how you determine a calorie range for clients who are aiming for weight loss – I see so many differing opinions on it. It is a variable depending on lifestyle, activity, stress, and a few other considerations. There is no formula, unfortunately. We formulate each clients macros individually. So I’m 137kgs and I’m wanting to start a Leto diet but honestly I don’t trust what other people say but I’ve been watching your videos and everything you’ve said,has made so much sense. Because I tried dieting but mentally can’t do it because my body just won’t except it. So my question is how do I take make this change the right way?? 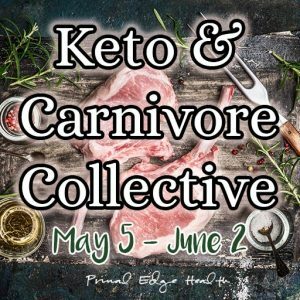 Hey guys, I have been following your youtube channel for a long time and I recently have embarked on the keto journey again using Stephanie Keto Person’s plan. She has me only eating around 75g of protein and I am really worried that this is to low. I am an athlete, I feel really great and my gym strength is very high. I am just really confused if this is truly optimal for fat loss, as I have not been able to tell if my body is losing fat or not, maybe this is because I see myself everyday. My LBM is 160lbs, my fasted glucose is always under 80 and my ketones are always above 1.0. What would you guys recommend, because I totally love you guys and your energy and your honest opinion would mean the world to me! Thanks and keep being super awesome ! Oh and I have 1 or 2 more weeks of coaching left with Stephanie Keto Person, the 47 year old lady you interviewed on one of your videos and I would like to consider switching to your program for the next few weeks just to get another opinion to, so your insight would be greatly appreciated. Hi Jerzy, We would be happy to continue this conversation and get down to business fine tuning a plan for you. If you would like to pursue coaching, please send an email via the contact form on our coaching page – https://www.primaledgehealth.com/coaching/. Looking forward to hearing more from you! Thank you, any opinions on my previous write up in regards to the protein? Hi guys! I just ran across you two a couple of days ago and I am so glad I have! I’ve been going through your videos and articles since then. I love the fact that Tristan (not sure if you are Jessica) is from SD as I live in north SD, Fallbrook area, and just ordered some Maca from you guys yesterday. I’ve never used it. I am gluten/wheat/msg/nitrate/artificial colorings/flavorings/soy and now carb free and I’ve been on keto for 73 days today and gluten free since February of this year. I make everything from scratch and only use organic and grassfed. I consume less than 10g carbs per day and have since day 1 of keto, most days it’s below 5g and I’m doing fine with that. I love this article because I have been having an issue with the ratio of fats and proteins and lost muscle when I first started this as my protein was only 10-12% of my daily macros with my fat being in the high 80′-90’s which was recommended by another person that gives keto advice. In fact when I mentioned to this person that I was NOT dropping the fat around my middle or loosing any inches there, I was informed to increase my fat to 200g. I did that for a week and a half, crashed after every single meal, for 45 mins which was unacceptable. I started taking papaya enzymes which helped but I did NOT loose an inch and in fact gained 2% body fat. I am trying to loose body fat and gain muscle (I’m highly active with a women’s exercise group, AB class and a personal trainer each week). I also lost muscle that my trainer and I worked so hard to get. And I suffered in my classes with lack of energy. I’ve since played with my macros, bringing fats down to 75-78%, upped my protein to 25%, still keeping my carbs below 5% at 1295 kcal and just the past 2 days I feel better, stronger and my workouts have improved although I still fatigue with cardio and large muscle fatigue. I’ve started gaining muscle again as well. Thank you so much for this article because I was totally afraid that too much protein will get stored as glucose. I’ve always been a high protein, low carb and fat gal. I function better with protein but don’t want to consume too much. Glad you find it useful information – keep doing your best and stay focused on your goals. If you are interested in formulating a specific plan and macro spread please contact us via the coaching page (https://www.primaledgehealth.com/coaching/https://www.primaledgehealth.com/coaching/). We also have a pinned post on the facebook page for questions you may have along the way. Let me know how you find the maca! Hey guys, I just had a simple question that maybe you can shed some light on, I have been on keto for 12 weeks and I did have carbs for two days which kinda whacked me out and left me sick. Its been a few days and I am able to get into ketosis by nighttime but my fasting numbers are still 0.4. I am not worried about this because I know I will be back in ketosis, I am just wondering if the carbs reversed any of the adaptations my body has undergone over the 3 month period? I def have the keto flu feeling again which is surprising because I thought I was pretty well adapted after 3 months of ketosis. 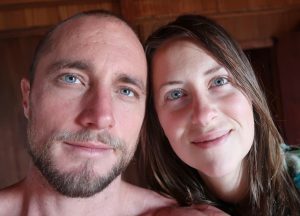 I am living this lifestyle because I feel amazing on it and it stabilizes my mood, I have just been a little all over the place and afraid that all my effort for the last 12 weeks has been reset to ground 0, where I need to now re-adapt and go through that low energy phase for weeks again. Just keep going Jerry! Stay focused on your intention. If you want to drop into our next google hangout keep your eyes open for the notice on our facebook page, we’d be happy to chat with you more in depth there 🙂 Blessings on your journey! So I stumbled on your site and I am so glad I did! I have just started on a keto diet about a week ago and there is so much information its crazy! I like what you have to say because it makes sense. I think I am doing fairly well as I am cooking and using whole foods and fresh veggies occasionally frozen but mostly fresh. I am not sure I have my Macros right though. The math of it all is probably the most confusing aspect of this diet. I used a calculator on Ruledme.com. Let me tell you a bit about me and maybe you can confirm if this is a good starting point. I will be stalking your site daily as I am learning more and more about this new way of life. I’m so happy you are enjoying our work and taking steps to improve your health and vitality. I’m sorry but we only supply specific macros to our clients. If you are interested in a coaching period, please contact us via the coaching page. I did not read all the comments, so forgive me if this is already posted. Thank you for all of the information. T his makes me feel WAY more at ease about eating protein while on this diet. I was about to go buy a scale and live by the scale for protein! Yikes. Anyway, thank you again for taking the time to write this article. I wanted to let you know that in section “3. Activity Level”, it says “Sedentary individuals may only want 1-1.5g/kg (.5-7g/lb of their lean body mass…).” That is supposed to say .5 to .7g and not .5 to 7g, right? I calculated my protein intake as if it was a typo and meant to be “.7g/lb” and not “7g/lb”. Thank you! Thanks for catching that! It is exactly as your thought – .5 to .7g per pound of lean body mass. I have been reading all the comments and answers on here, I think I have answered my question but I’m still a bit confused. Should protein be significantly lower then fat? I never hit that fat in my diet, I struggle big time. The most fat I have got to is 125grams. I’m about to just sit down and drink olive oil (okay not really yuck), why is it so hard to get fat in???? My calories are always in the 1300-1400 range. Not by choice just what happens with low protein and enough fat maybe. I do workout 3-4 days a week (mostly Beachbody workouts/Shaun T/21 Day fix/ Insanity). Amy, if you are interested in our coaching, please send an email via the contact form in the coaching page – https://www.primaledgehealth.com/coaching/. Apologies, but we do not give our general macro advice without an in depth conversation first. I will tell you that I am one of “those” people whose blood sugar spikes when I am over my “target” protein intake (roughly 85-95g/day). I am at a low level of body fat (~10%) and because of that, I can tell after just a day or so if my BF% has increased. Every time I increase my protein (everything else stays the same), my BF% goes up by 0.5-1%. Once I return to optimal intake, it drops off in the same time. I guess my body is just very sensitive to blood sugar variations? Ideas? Come on our next hang out and ask your questions! Sign up for our newsletter, we do our best to send out notifications ahead of time. How do you Know your lean body mass? I Have a scale that provide a number but seems inacurate. It’s one that mesures from the lower parts of the body. is this reliable or is there a formula? Thanks for all your great work! I was diagnosed with pre diabetes and the low fat, low carb diet my physician prescribed after 3 months wasn’t working for me. I still felt horrible with dizziness, etc. Switched myself to keto about 2 weeks ago and I feel wonderful. My question is… For someone that is prediabetic, do you know if I need to stay in ketosis constantly now or do you think going in and out like you mentioned in your video will be okay as long as I stay relatively low carb? Just wondering what information you have on keto and diabetes long term. Glad you hear Keto is helping improve your quality of life. Tristan and I prefer to maintain the state of ketosis long-term. We’ve been following a keto diet for about 5 years now. But you’ll have to answer this question for yourself, feel the difference between various levels of carbs – when do you feel best? What works for your lifestyle and goals? Is the .5 to .7 grams per pound of LBM for the day or per meal. Thanks for your help sure appreciate your help. per day – for example if your LMB is 200 pounds, aim for 100-160 grams protein a day. Weigh raw weight. 4 ounces of meat is not 113 g of protein, probably closer to 25-30 g.